Do Hedge Funds Love Advanced Drainage Systems Inc (WMS)? The 700+ hedge funds and money managers tracked by Insider Monkey have already compiled and submitted their 13F filings for the third quarter, which unveil their equity positions as of September 30. We went through these filings, fixed typos and other more significant errors and identified the changes in hedge fund positions. Our extensive review of these public filings is finally over, so this article is set to reveal the smart money sentiment towards Advanced Drainage Systems Inc (NYSE:WMS). 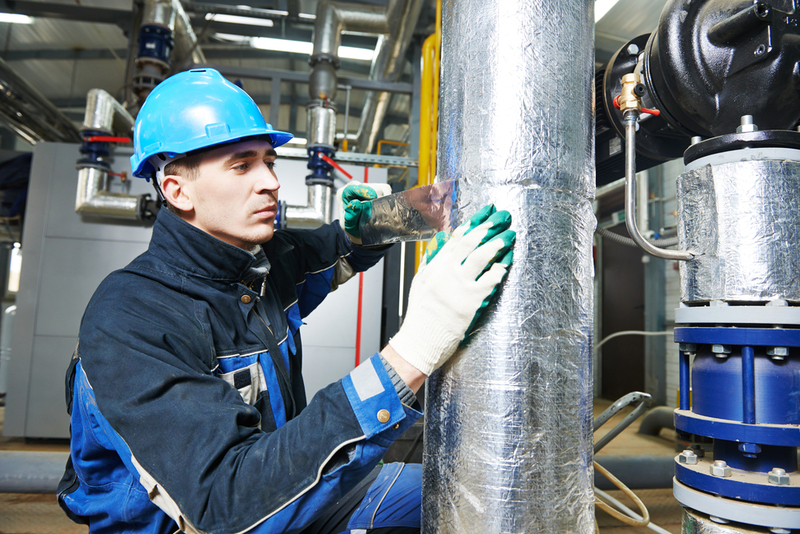 Is Advanced Drainage Systems Inc (NYSE:WMS) ready to rally soon? The best stock pickers are surely becoming more confident. The number of bullish hedge fund bets rose by 2 lately. There were 13 hedge funds in our database with WMS positions at the end of the third quarter. At the end of this article we will also compare WMS to other stocks including Magellan Health Services Inc (NASDAQ:MGLN), Progress Software Corporation (NASDAQ:PRGS), and CYS Investments Inc (NYSE:CYS) to get a better sense of its popularity. Keeping this in mind, let’s take a peek at the fresh action regarding Advanced Drainage Systems Inc (NYSE:WMS). Heading into the fourth quarter of 2016, a total of 13 of the hedge funds tracked by Insider Monkey held long positions in this stock, up 18% from one quarter earlier. 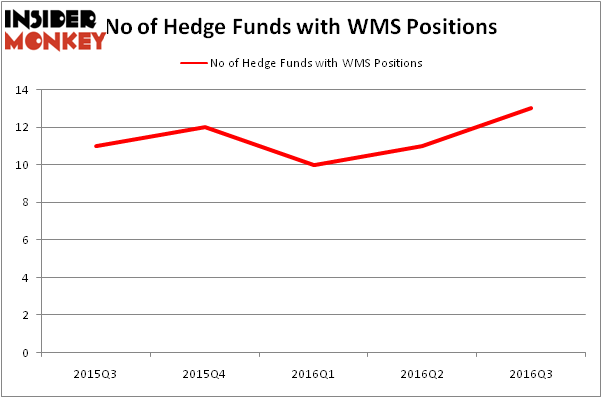 By comparison, 12 hedge funds held shares or bullish call options in WMS heading into this year. So, let’s review which hedge funds were among the top holders of the stock and which hedge funds were making big moves. When looking at the institutional investors followed by Insider Monkey, Joel Ramin’s 12 West Capital Management has the largest position in Advanced Drainage Systems Inc (NYSE:WMS), worth close to $87.9 million, corresponding to 12.6% of its total 13F portfolio. On 12 West Capital Management’s heels is Stockbridge Partners, led by Sharlyn C. Heslam, holding a $73.8 million position; the fund has 3.5% of its 13F portfolio invested in the stock. Remaining professional money managers that hold long positions comprise Paul Reeder and Edward Shapiro’s PAR Capital Management, Ian Simm’s Impax Asset Management and Richard S. Meisenberg’s ACK Asset Management. We should note that Impax Asset Management is among our list of the 100 best performing hedge funds which is based on the performance of their 13F long positions in non-microcap stocks.